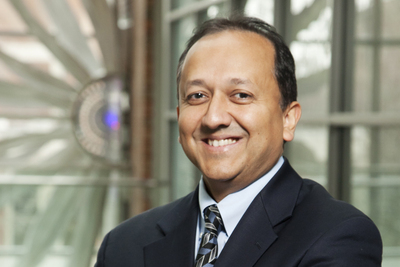 Rashid Bashir, a professor of bioengineering, has been named the executive associate dean of the Carle Illinois College of Medicine. 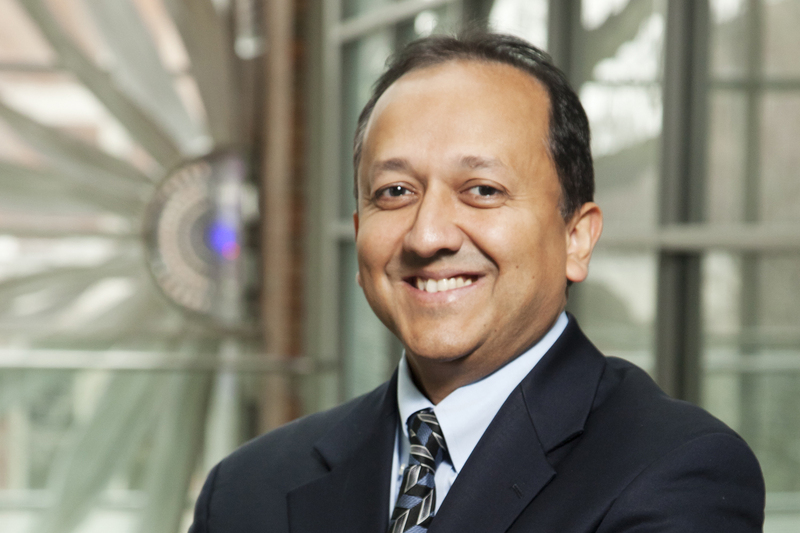 CHAMPAIGN, Ill. — The Carle Illinois College of Medicine has appointed a permanent executive associate dean: Rashid Bashir, a professor and the department head of bioengineering at the University of Illinois at Urbana-Champaign. As executive associate dean, Bashir will work alongside Dean Dr. King Li to direct and oversee development and operations at the Carle Illinois College of Medicine, the nation’s first engineering-based college of medicine. The appointment will take effect Aug. 16, pending approval by the U. of I. Board of Trustees. The college, a partnership between the U. of I. and Carle Health System, and will enroll its first class of students in 2018. Bashir’s research focuses on integrating engineering and technology with biology, from the molecular scale to tissues and systems. Among other innovations, his group has developed various lab-on-a-chip technologies, miniature biological robots and point-of-care diagnostic devices, leading to the creation of three startup companies. Bashir earned a Ph.D. in electrical engineering from Purdue University in 1992. He has served in multiple leadership roles since joining the Illinois faculty in 2007, acting as the director of the Micro and Nano Technology Laboratory from 2007 to 2013 and as the head of bioengineering since 2013. He has played a large role in the development of the Carle Illinois College of Medicine as the chair of the curriculum committee and as the interim vice dean. "Professor Bashir is an exceptionally creative researcher, educator and administrator, and has been one of the main architects of the first engineering-focused college of medicine in the world,” Li said. “He will help ensure that our students will possess compassion, competence, curiosity and creativity with the help of our innovative curriculum. The ability for us to achieve our overall vision of leveraging engineering and technology to revolutionize health care delivery is markedly enhanced by professor Bashir taking on this important senior executive role in our college."